A microbiologist fights to counter a pandemic of huge proportions supposedly created by a bug returned from a space shuttle. But was it? Ben steals the bug viruses from his work lab, not trusting the World Health Organization, which he believes is the creator of the bug. The WHO tries to close Ben down when he comes up with the anti-virus. On the run with two young friends, Ben races to save humanity in a world where simply meeting a man, woman or child could cause their death. His small band sets out into the wilds of England to counter the WHO’s plans for mankind. 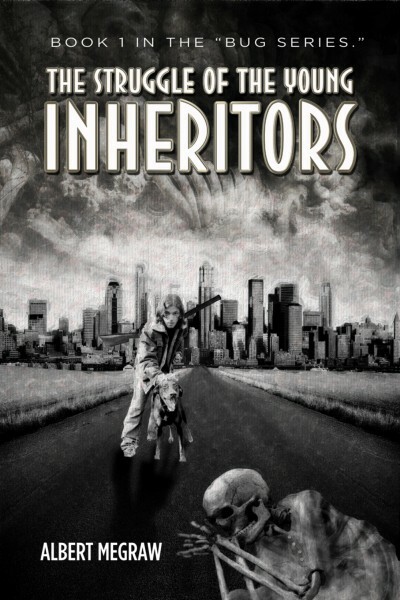 The Struggle of the Young Inheritors: Book 1 in the Bug Series presents the thrilling survival mission of a few souls trying to overcome in a world gone mad. As the bugs exterminate more and more humans, the battle is on to determine the victor. This novel shows that youth can survive without their elders – or even despite their elders – can learn quickly to adapt, and can make a difference, no matter the odds.